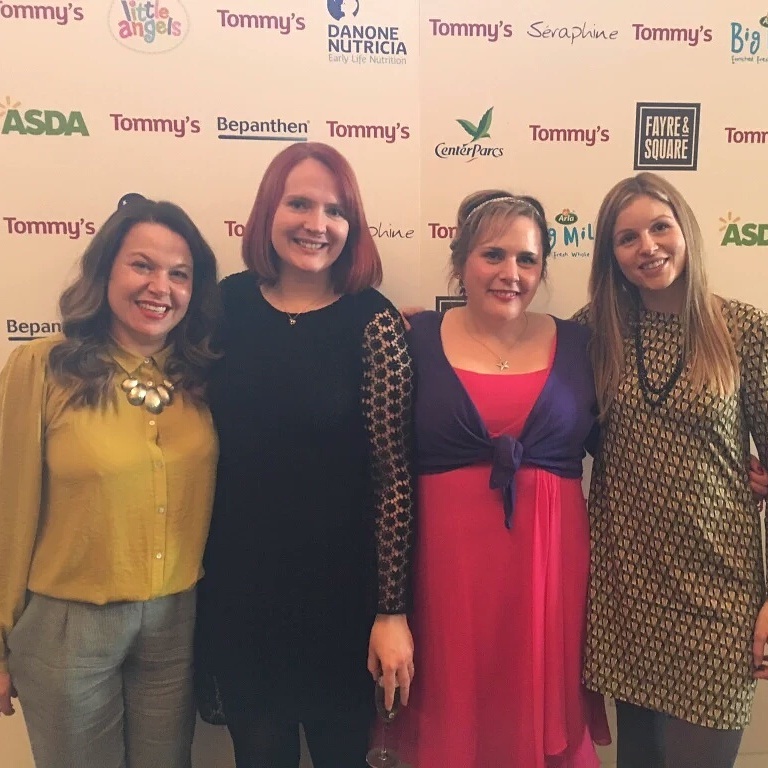 Last week I had the absolute honour and privilege of attending the Tommy’s Awards, where I was shortlisted for the Mum’s Voice award. Tommy’s is a charity very close to my heart, having been the first cause I chose to support following my experience of pre-eclampsia in my first pregnancy. To be nominated, over 5 years later, for an award as special as Mum’s Voice was incredible and a testament to everything I have worked for since I decided not to let my negative experience rule my life. That’s not to say that my experience hasn’t affected me, because it has, and in ways that I hadn’t really expected. At the time of Joe’s birth, I lived in my own little bubble, as first time mums often do, with no inkling of the potential pitfalls of pregnancy, choosing to assume nothing would go wrong. But it did. 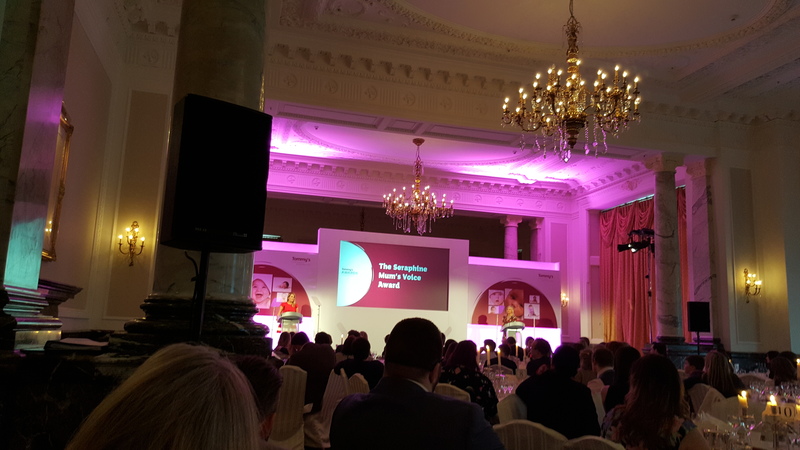 The Tommy’s Awards ceremony was suitably swanky in a London hotel! And I’m glad in a way – without having a complicated pregnancy and unpleasant birth I wouldn’t have fundraised for Tommy’s, or become a volunteer for MAMA Academy, or made friends with the most wonderful people I have since met. 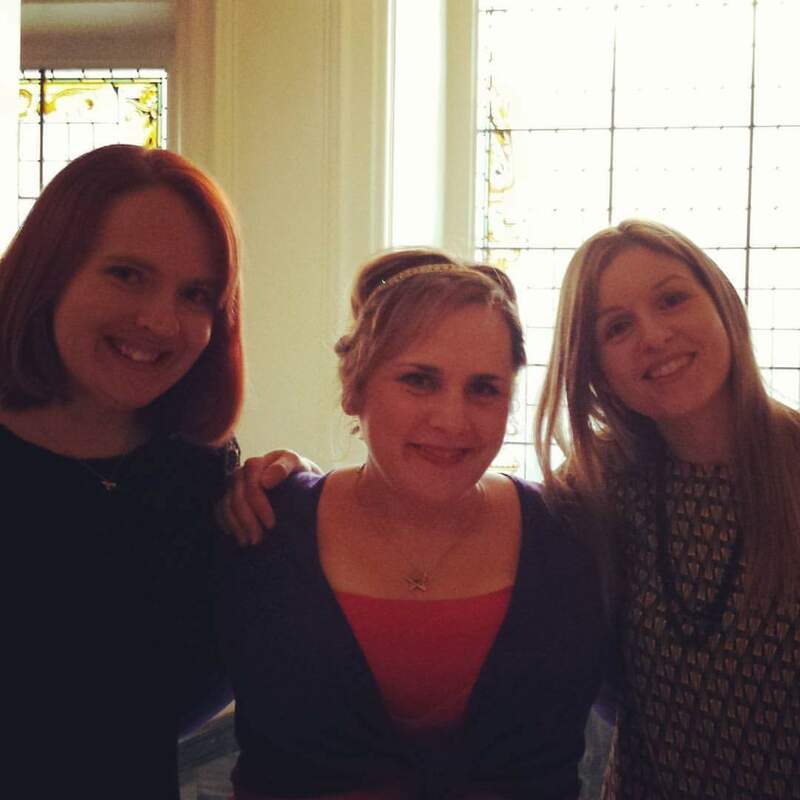 One of the highlights of the day was finally getting a hug with two of my favourite ladies, fellow Mum’s Voice nominees Susanne and entirely brilliant eventual winner Leigh, who I had come to know so well online. It was like meeting up with old friends. To think that if I had enjoyed a straightforward pregnancy I may never have had any reason to come into contact with them in the first place is a strange thought. It was also a pleasure meeting another nominee Emily, who I enjoyed sitting next to at lunch. It was a fairly surreal day! I think it has taken the accolade of the Mum’s Voice shortlist to make me realise just how important it is to speak up about what has happened to us, either for our own benefit as a kind of cathartic therapy, or to help others to know they are not alone, or by campaigning for improvements in maternity services for example. When Joe was born I had never heard of the term ‘birth trauma’ and I knew little of the condition that had cut short my carefree pregnancy. I didn’t read (or write!) blogs, I didn’t have the online support network I have now. It has taken 5 years and a second pregnancy for me to really process and start to understand what I have been through and how it has given me great power to help others. Over my two pregnancies I now have first hand experience of pre-eclampsia, being an inpatient on an antenatal ward, intra-uterine growth restriction (IUGR), early induction of labour, continuous electronic fetal monitoring, quick labour, birth trauma, staying in hospital on the postnatal ward, unsuccessful breastfeeding (x2), high risk second pregnancy, growth scans, a second frighteningly quick labour, a water birth, severe perineal trauma and two difficult physical and emotional postnatal recoveries. I’ve had a medicalised birth and a more ‘natural’ one. I’ve had a tiny baby at 5lb 9oz and a big baby at 10lb 2oz. I’ve got plenty I could talk about. 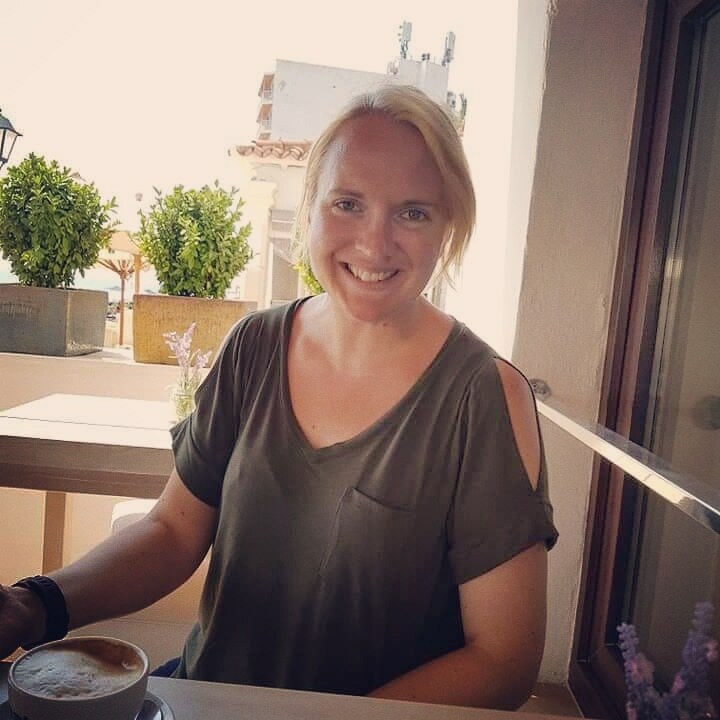 All of which is why I’ve teamed up with wonderful Susanne, who blogs at Ghostwriter Mummy, to work on the Maternity Matters project together. The weekly #BirthTraumaChat that Susanne hosts on Twitter alongside Emma @UnfoldURwings has shown us time after time that women need more support to cope after a difficult or traumatic birth. With tight resources and poor understanding of birth trauma from too many health professionals, women are being left in the dark when it comes to dealing with what they have been through. With both mine and Susanne’s combined experience of pregnancy and birth complications, we are hoping to fill some of that gap by offering peer support to those who need it. We have been recognised for having an online voice by Tommy’s but there are many women who feel they have no-one to talk to. We will be blogging regularly on the Maternity Matters website, and we have set up a friendly Facebook support group to provide a safe place for people to talk about their experiences without fear of judgement or lack of understanding. On Twitter, #BirthTraumaChat will continue on Mondays at 8pm and we will host other chats on various topics periodically. 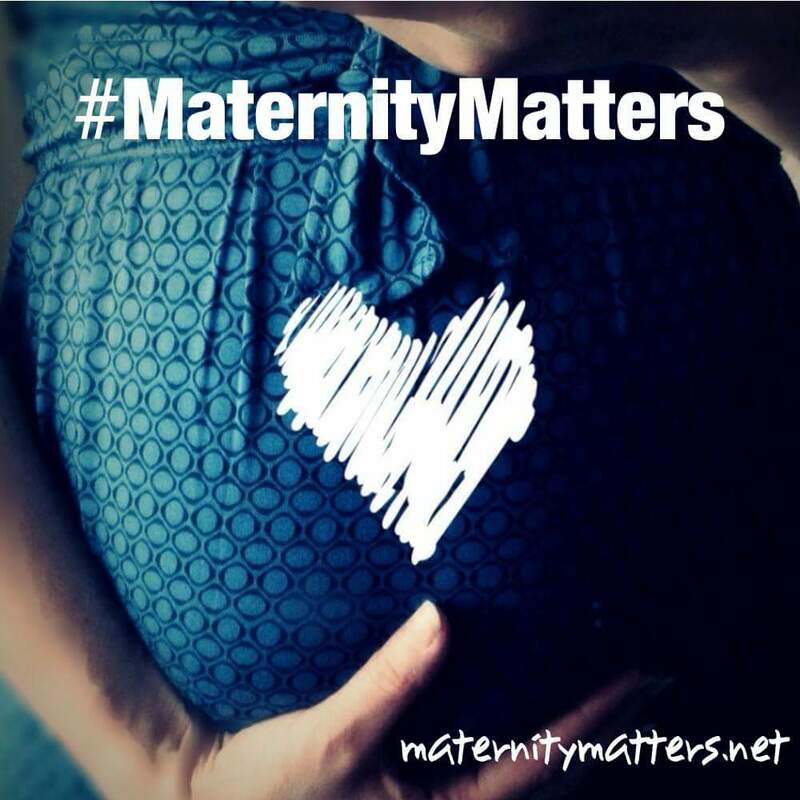 Please join us @MaternityMattrs and help us shout louder than ever before. 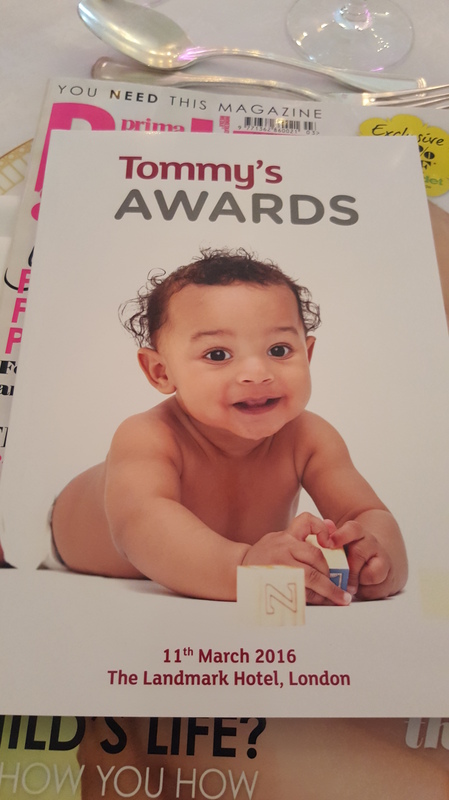 It would be wonderful to be able to raise more awareness of Maternity Matters following our Tommy’s Awards success. As the blog award season is upon us, I would love a vote or two for Great North Mum in the Pregnancy, Baby or Writer categories of the MAD Blog Awards or the Inspire, Writer or Reader’s Choice awards in the BiBs. Thank you!